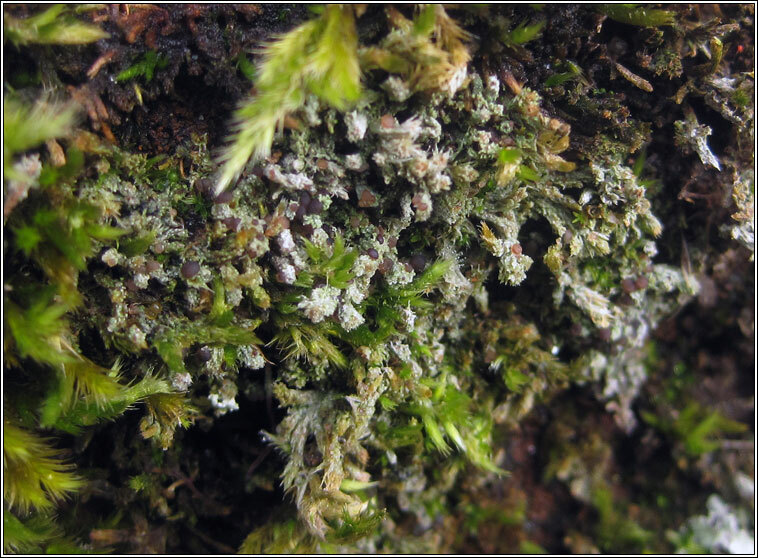 On plant debris or over-growing moss on calcareous rocks, turf or mortared walls and on the shaded trunks of old trees. White or pale grey, coarse or scurfy granular thallus, sometimes evanescent. 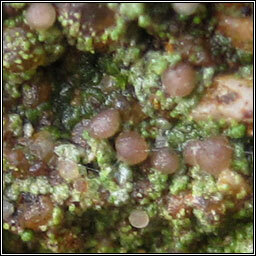 Convex, +/- rounded apothecia, very variable in colour; discs can be pinkish-brown, brown to dark brown or black. 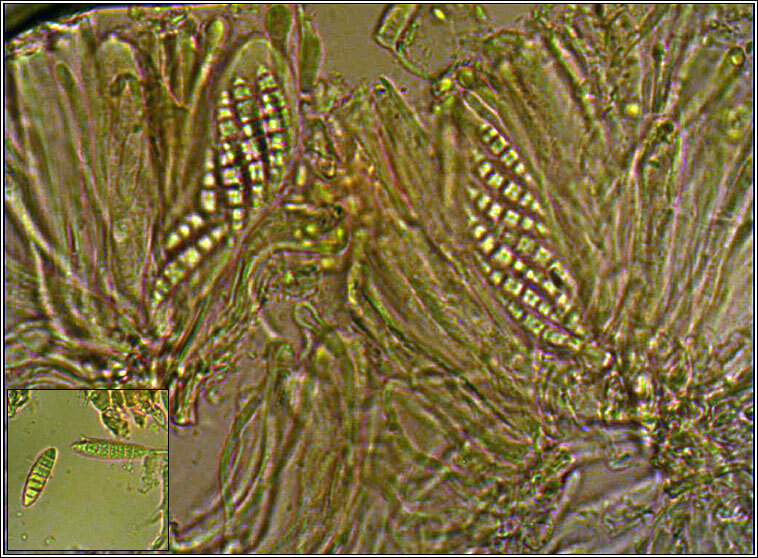 Spores 3-7 septate, 18-40 x 5-8 µm, perispore often finely-warted. 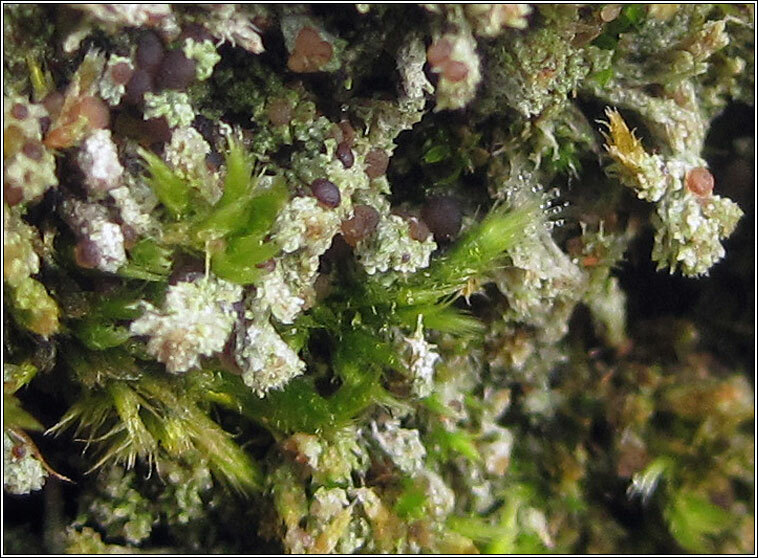 Micro photograph below. 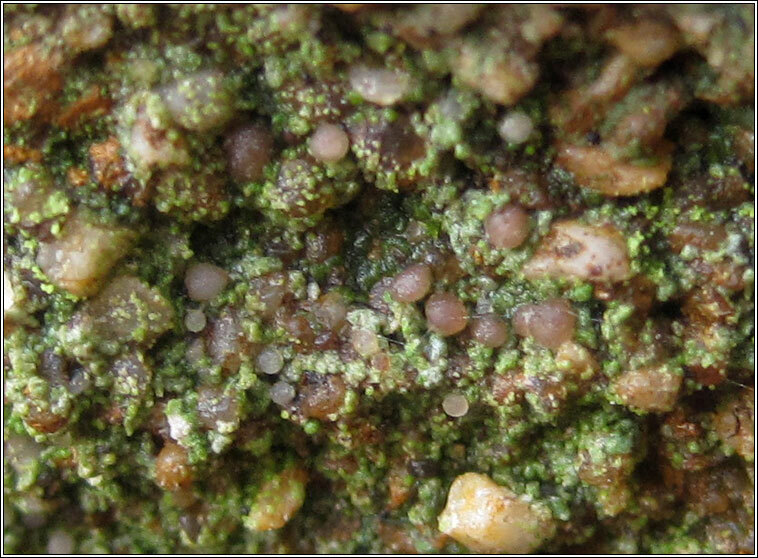 Similar: Bilimbia lobulata is +/- squamulose with shorter spores.